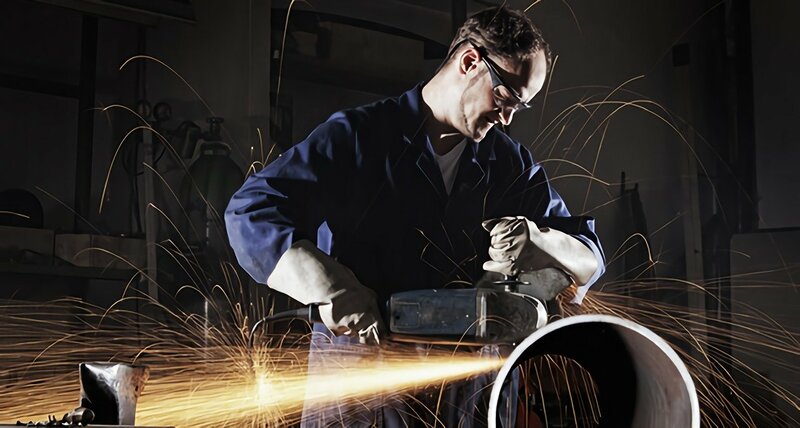 If you’re looking for a career that requires specialized, in-demand knowledge and that allows you to work in the skilled trades, pipefitter might be the occupation for you. Pipefitters install and maintain various piping systems, ensuring that they run smoothly on a day-to-day basis. This isn’t an occupation for everyone, but for those with a mind for mathematics and a willingness to learn and sharpen new skills, it can be a very profitable career. Essentially, a pipefitter 1 is the person responsible for maintaining a variety of piping and plumbing systems. These systems might be used to transport liquids such as water, chemicals, or gasses. Pipefitters find employment in a variety of fields, including manufacturing, petroleum production, brewing and more. As a pipefitter, you could work in a nuclear power plant or in a soda factory. The opportunities are plentiful for someone with the right training, and certification experience. As a pipefitter, you might be required to wear personal protective equipment, or PPE, which will vary according to your job description. Pipefitters are often responsible for the welding, cutting and maintenance of various types of pipe, hence the need for specialized PPE. As a pipefitter, you may read blueprints, perform calculations, and use a variety of tools including blowtorches, measuring tapes, saws, and pipe benders on a daily basis. Training in these areas and in using these tools is essential to landing a job as a pipe fitter. You must also have sufficient physical strength and stamina. In order to be a successful pipefitter, you want to have customer service and business skills as well. Vocational pipefitting training programs cover blueprint reading, mathematics, safety, piping codes/specifications, and other plumbing-related skills. Your training consists of classroom-instruction, as well as extensive hands-on practice. The TWS pipefitter training program can be completed in as little as 6.5 months, and will allow you to work in construction, modernization or maintenance. Some states and localities require pipefitters to be licensed. Depending upon your state, you might need to take a test and/or work a certain amount of time before obtaining a license. According to the Occupational Outlook Handbook issued by the U.S. Bureau of Labor Statistics, pipefitters in 2012 earned a median wage of just a little over $49,140 annually, or $23.62 per hour. This occupation has a faster-than-average growth rate, meaning that over the ten-year period from 2012 to 2022, a 21 percent increase in jobs is expected. Furthermore, graduates of vocational training programs often have a leg up on the competition when it comes time to enter the job market, as there is a dramatic shortage of skilled trade workers. This shortage is predicted to become even worse, as a large segment of the current workforce is going to retire within the next ten years, the BLS reports. Pipefitters with welding experience actually have the best job opportunities. If your future career path includes learning to become a pipefitter, contact Tulsa Welding School today.